Sleep is essential for good health. 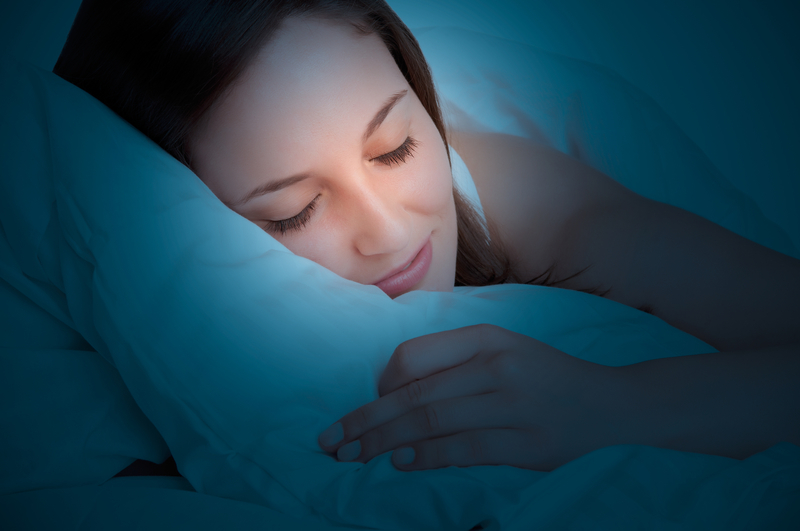 Here we explore the sleep cycle and the stages of sleep to learn why it's so important. 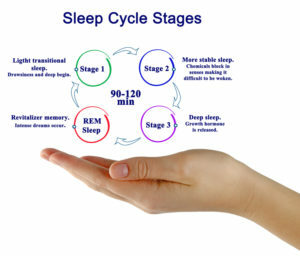 Our cycle of slumber involves four distinct sleep stages, the deepest of which is REM (rapid eye movement) sleep. One-third of all American adults are not getting enough sleep, according to the Centers for Disease Control and Prevention. But why does it matter so much? Well, simply put: Inadequate sleep is bad for your health. It’s linked to chronic conditions and illnesses like diabetes, obesity, heart disease, and depression. It is also linked to accidents and poor performance at work—not to mention the effect that being sleep-deprived and grumpy can have on relationships. The secret to why sleep is so important for health lies in the sleep cycle—our sleep stages. 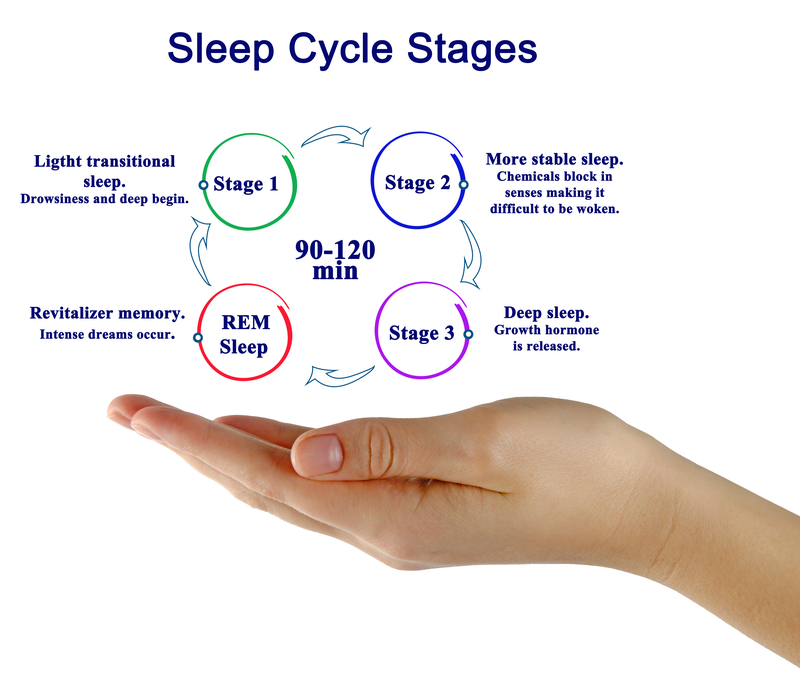 Within NREM sleep there are four distinct stages. These have been studied extensively using electroencephalogram (EEG), which shows that brain activity is quite different in each of the stages. Stage 1 is the stage between being sleep and being awake. Sleep is light and easily interrupted. It occurs as you fall asleep and during brief periods of arousal during sleep. There is a slow-down in brain and muscle activity. Stage 2 is the first stage of true sleep but it is still light. Your heart rate and breathing slow down, and you start to become unaware of your surroundings. Brain wave activity slows further, with accompanying sudden rapid bursts of activity called “sleep spindles,” during which muscles become relaxed. Stages 3 and 4 of NREM Sleep—slow wave sleep—are characterized by the presence of slow brain waves called delta waves interspersed with smaller, faster waves. Breathing and heart rate slow down, eyes are still, blood pressure drops, and muscles relax. If someone were to try to rouse you now, you’d have a hard time awakening and would feel groggy and disoriented. This stage has been associated with tissue regeneration and the release of essential hormones (such as growth hormones). During slow-wave sleep, some children experience bedwetting, night terrors, or sleepwalking. Dreaming occurs in REM (Rapid Eye Movement) sleep, when your limbs are paralyzed but your eyes dart back and forth behind closed eyelids. Your blood pressure increases, and your heart rate and breathing speed up to daytime levels. There is intense brain activity, with brain waves that are fast and irregular (desynchronized). REM sleep is the most important stage of sleep for memory. Besides dreaming during REM sleep, you also process and consolidate new information you’ve learned. Sleep Architecture: How Much Sleep Do We Need? The pattern of sleep that we each get—including how much time we spend in each stage—is called “sleep architecture.” Most adults thrive on seven to nine hours of sleep per night, while teenagers with developing brains need about 9.5 hours. Not surprisingly, infants, with the fastest-developing brains of all, need up to 16 hours of sleep per day. So what is the ideal pattern of sleep? Each sleep cycle lasts on average of 90 to 110 minutes and is repeated four to six times per night. Early in the night, the cycle is shorter. Sleep architecture varies over a lifespan. Newborns spend about 50 percent of their sleep in REM, while in young children, deep NREM (stages 3 and 4) sleep is longer. In elderly people, deep sleep reduces, while stages 1 and 2 increase. Sleep is more easily disturbed in the elderly but for most people, contrary to popular belief, the need for sleep does not decline. In a 2014 Ted Talk program, neuroscience researcher Jeff Illiff presented mind-blowing research on how the brain deals with its “waste.” He explained that researchers were astonished to find that when we sleep, channels open up around the blood vessels in the brain. These channels flush the brain with cerebrospinal fluid (CSF), which effectively cleans the brain, taking away the waste products from normal metabolism. When you’re not getting enough sleep, or if your quality of sleep is poor, all of the positive things that happen in sleep—as described above—decrease. Your body is unable to repair effectively, biological processes are disturbed, and there are significant effects on brain function and cognition. Heart health. While you sleep your heart takes a rest. It doesn’t need to pump large amounts of blood to your muscles or digestive system. Of course it continues to pump blood to your brain and all around the body, just less vigorously. Lack of sleep puts an increased strain on your heart. Hormonal systems. Your hormonal or endocrine system produces chemicals essential to every cell, system and organ in your body. Lack of sleep interferes with hormone release and cellular repair, growth, blood pressure, blood sugar, and sexual health. In teenagers, lack of sleep can interfere with puberty. Memory. Lack of sleep limits consolidation of memory, making it difficult to lay down long-term memories. Cognitive performance. Lack of sleep will reduce focus, slow processing, and cause errors and may also contribute to poor decision-making and impulsivity. Motor skills. Lack of sleep can make you more likely to make mistakes and have an accident. Mood. Lack of sleep increases the risk of negativity, depression, anxiety and may worsen serious psychiatric conditions such as bipolar disorder. Immune health. Lack of sleep weakens the immune system making you more prone to infection. anxiety, apnea, apnea symptoms, bipolar disorder, blood pressure, blood sugar, brain, brain activity, children, cognitive performance, depression, depression anxiety, diabetes, digestive, health, heart disease, heart health, hormone, how much sleep do I need, immune health, immune system, infection, lack of sleep, memory, metabolism, mood, muscle, myoclonus, obesity, rem sleep, sleep, sleep apnea, sleep apnea symptoms, sleep disorder, sleep medicine, sleep myoclonus, sleep remedies, sleepwalking, sugar, the sleep cycle, twitching while sleeping.